· Adjust the layout of toolbar button. · Add new function for online music score searching. 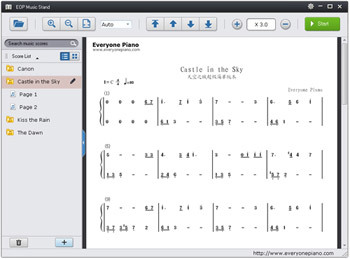 EOP Music Stand is the worldwide first piano score roller software. It can automatically roll the score screen and turn the pages according to the speed set by users. 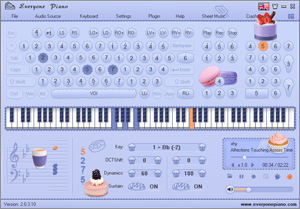 Combined with Everyone Piano software, it enables piano lovers to practice the piano more easily. • Load any format of stave and numbered musical notation pictures. • Adjust the score size optionally. • Set the screen rolling speed. • Set to roll the screen with one button. • Assort and manage the music pictures. • Massive stave and numbered musical notation pictures. 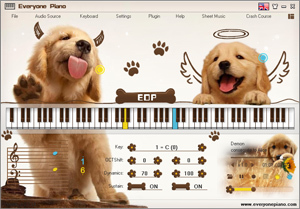 1) Run Everyone Piano ->Plugin ->EOP Music Stand. 2) In the "Plugin Download" pop-up window, click "Download" to download and install EOP Music Stand. 3）When the download process is completed, click "Run" to use the EOP Music Stand. If you need to use it in the future, you do not have to reinstall it, just run Everyone Piano->Plugin-> EOP Music Stand. Note: If there is not the EOP Music Stand in the plugin list, please click the menu Help ->Update, then you can update the software to be the newest version. 1. Run Everyone Piano ->Plugin ->EOP Music Stand, open the EOP Music Stand. You mean click in EOP? 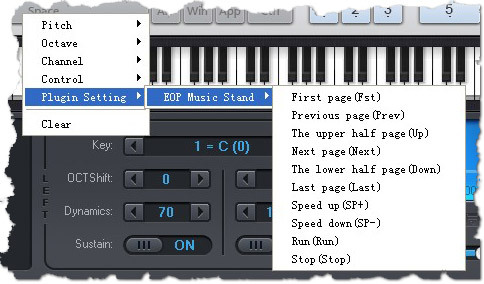 EOP Music Stand is one of EOP plugins, you need download it in EOP. Click the "Plugin" menu, and choose the "EOP Music Stand"
Would you please specify your problem? What file you can not download? eop? Could you please leave a message in English?